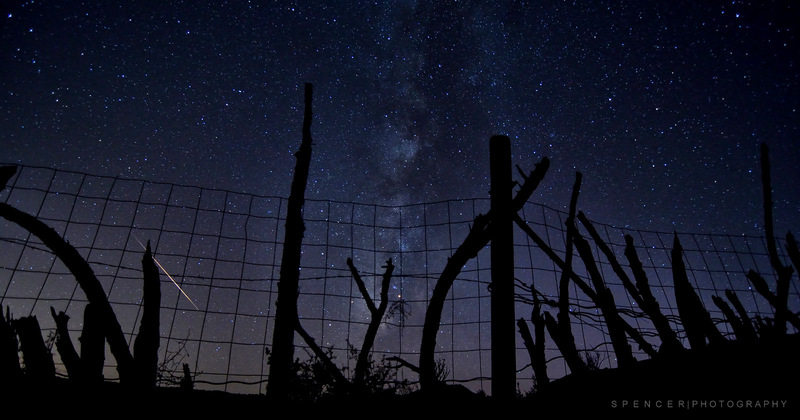 The Perseids Meteor shower is here and will peak on the early morning of Aug 13th, 2015. What is it? Every year from around the third week of July until the third week of August the Earth crosses the orbital path of the Comet Swift-Tuttle. As debris from the comet hits the Earths atmosphere we see meteors. Pretty cool huh? Anyway, lets get into shooting the meteors and what I do to capture them. The meteors originate from the radiant of the Constellation Perseus and travel through the entire night sky. I use two cameras with ultra wide 14mm lenses and orient them landscape mode. I position one directly high Northeast and the other high Southeast. You can expect to see 50 to 100 meteors and hour. The above was taken on manual (M mode) at f/2.8, ISO2000, 13 seconds. I shot it RAW so I applied some light and contrast in Photoshop. A camera (DSLR) capable of high ISO capabilities – The best choice will be a full frame DSLR like a Canon 1D/5DMKIII/MKII/6D, a Nikon D4/D3s/D700/D600/D800/D4, etc, and other brands of full frame cameras. Full frame sensor cameras are the best choice for capturing the shower because of their excellent high ISO performance. But the show would be easily captured as well with a crop sensor (APS-C size) like that of a Nikon D3100/3200/D5100/D5200/D7000/D7100/D90/D300(S), etc, or a Canon T2/T3/T4/T5/40D/50D/60D/7D, etc. As far as other cameras such as point n shoots or mirrorless (Like the Sony A7 series or any of the recent Fuji’s) are concerned, if they have the option to shoot in manual and set the exposure, aperture, and ISO, they should be able to grab something awesome. A fast wide angle lens – Because of the dark sky, a fast (f/2.8 or faster) aperture lens would be preferable. The wider the view, the better. I’ll be using a 14mm lens. A wide zoom is fine too, but with most of those the fastest aperture is f/3.5 so you will have to compensate with longer exposures and/or higher ISO. You will also want to set your auto focus to OFF and then manually set the lens to the infinity focus setting. I use electrical tape to secure my focus ring so it doesn’t move if I accidentally touch it during the night. A tripod – A good sturdy tripod is essential as you don’t want the camera moving during a long exposure. You will end up with nothing useful if you try shooting handheld. A wired or wireless remote – Some photographers prefer to use a wired intervalometer/remote. This device allows you program and setup an automated continuous cycle of 30 second exposures. This is really handy if you don’t want to stand by your camera for hours hitting the shutter button over and over every 30 seconds. Some of the newer Nikons and Canons (and others) have built in intervalometers. Most DSLR’s have the option to use a IR (wireless) Remote and you might be able to pick one up at a local camera retailer for $20 dollars. However, if you don’t have any of the above, its really not that much work to setup a chair by your camera and just hit the shutter button every 30 seconds. 😉 To lighten my load when I’m out shooting the Milky Way or meteors, I dont carry a remote of any type. I just hit the shutter. If the tripod is sturdy, its fine. Large Capacity Memory Card – You might end up shooting for a couple of hours or more. So you will want a large SD Card or CF card to store hundreds of photos. I shoot in RAW mode, so I use 64 gigabytes of memory. Battery – Don’t forget to charge your batteries and maybe bring an extra because you might be shooting for hours. You can always pick up extras for most cameras at a local camera retailer. These are my settings and what I’ll be using. I cant speak to how your particular brand of camera settings are completed with regard to the below. 2. Set your camera to manual (M) mode. 3. On the morning of Aug 13 there will be no moon, so start out with a setting of 30 seconds exposure time (Shutter speed). 4. Set your lens to its fastest aperture – Mine is f/2.8. 5. If using a zoom lens, set it to its widest point. 18mm, etc. 6. Turn off autofocus and set the lens to the infinity mark. Trick: If you dont know where infinity is, (DURING THE DAY) go outside and focus on something hundreds of feet away. Now, turn off autofocus and THEN very carefully tape (electrical tape, etc) your focus ring in place on your lens so it doesn’t get bumped/moved at night. You will not be able to autofocus at night. 7. Set your ISO. I’ll start out at ISO1600. I’ll take a few test shots and look at the exposure to see if its light enough. If a bit dark, I’ll bump my ISO to 2000 and keep going higher if needed. Ultimately I want to see stars and a bit of the landscape in my shot. 8. TURN OFF long exposure noise reduction (NR) in your camera. Why? If you have this turned on after a 30 second exposure, the camera will take an additional 30 seconds to apply the NR after EACH shot and you might miss a meteor. You can apply NR in post process. Every camera is different and you will need to experiment. Take a few photos and look at the result on your cameras LCD screen. Too Dark? Increase the ISO. Too light or over exposed? Lower the ISO or lower the shutter time to 20 seconds, 15 seconds, etc. If your fastest aperture is F/3.5 or F/4, etc., you will have to compensate with a higher ISO setting or keep the shutter open longer. For the really bright comets, ISO 200 or 400 will work just fine. For the barely visible comets, ISO 2000 or higher will be needed. Finally. If you don’t have a camera or want to go through all of the above – just grab some chairs, your loved ones and go just sit and stare at the sky. Hopefully the weather will cooperate and we’ll have a clear sky to look at. Have fun. 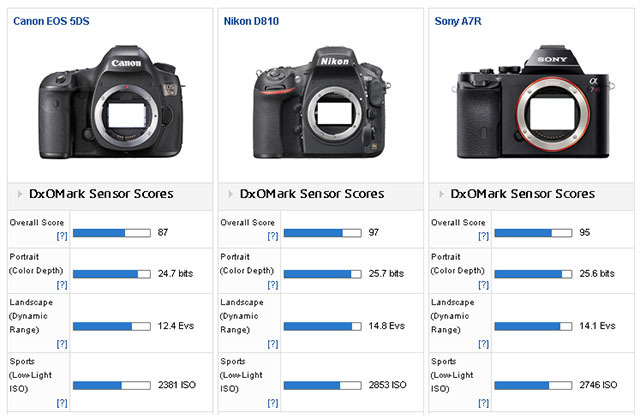 DxOMark published its sensor test scores for the 50.6-megapixel Canon 5DS and 5DS R DSLRs today, and the news is both good and bad for Canon shooters. 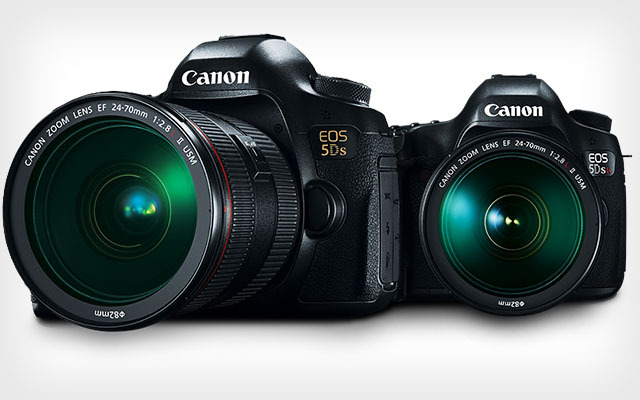 On the good side, the cameras scored the highest scores (87 and 86, respectively) ever achieved by Canon sensors. On the other hand, they still lag behind the Nikon D810 and Sony a7R (97 and 95, respectively) in overall quality. “Sitting outside the top 20 in the rankings, the headline scores for the EOS 5DS suggest that it’s far behind the best sensors we’ve tested,” DxOMark writes. The D810 and a7S handily beat the 5DS and 5DS R in color depth, dynamic range (at low ISOs), and low-light ISO performance. “With its massive resolution and best results in print, the EOS 5DS and 5DS R are great solutions for photographers shooting at low ISO sensitivities for large scale prints,” DxOMark says, but if dynamic range is more important to you than 50.6 megapixel photos, there are better alternatives out there.